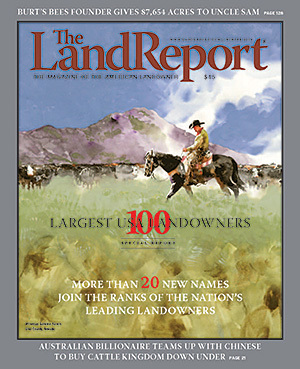 More than 20 new landowners grace the ranks of the 2016 Land Report 100 sponsored. Among the new Land Report 100ers are California’s Fisher family, who founded The Gap in 1969. With some 440,000 acres in Northern California, the Fishers ranked No. 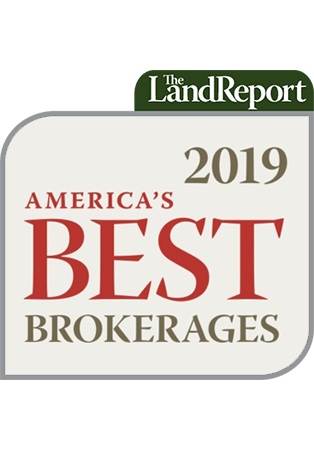 21 on the annual roll call of America’s largest private landowners. Amazon founder Jeff Bezos moved up a notch to No. 25. Bezos is currently credited with owning 400,000 acres in Far West Texas. But the biggest mover was Los Angeles Rams owner Stan Kroenke. Thanks to his acquisition of Texas’s historic Waggoner Ranch, Kroenke vaulted from No. 9 to No. 5 and now owns 1.38 million acres. Australia’s richest billionaire teams with Chinese to buy S. Kidman & Co.
Read all of these and more HERE.